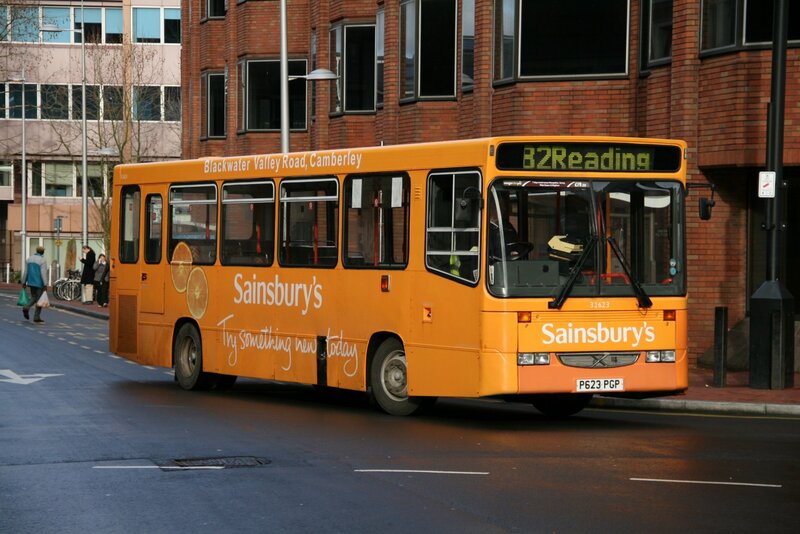 Reading Transport MegaRears: The Just Tiles rears on 202 and 844 have been amended with lettering for their January sale. Reading Transport Scania OmniCity Double Deckers: 1103 is the next to have it's leather seat coverings replaced with moquette. Thanks to Brian Coney for this. Reading Transport VanHool Alizées: Former 241 was with Grindles Coaches by January 2011, and former 242 was with Adamson's Coaches by August 2010. First Berkshire Fleet List: The date of transfer of 20373/4 to Aberdeen was 29th December. Thanks to Mat Wooll for this. 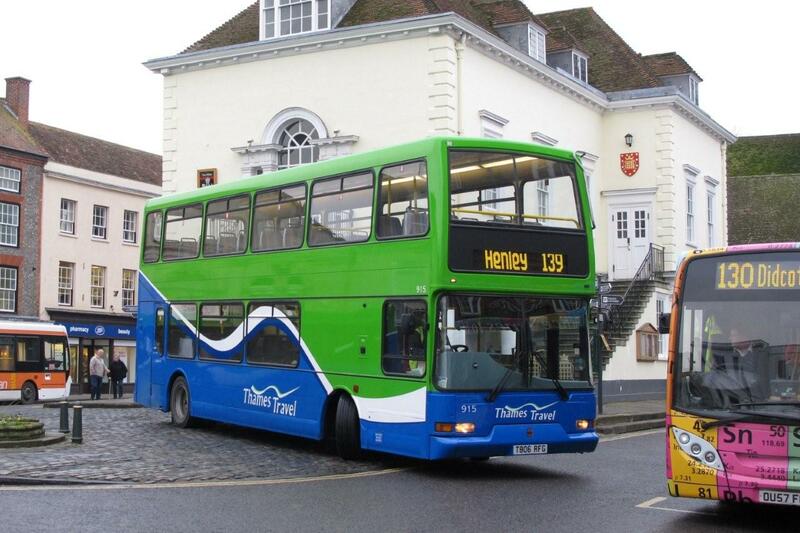 Thames Travel: New photo of 915 added. Thanks to Graham Low for this. Thames Travel Fleet List: MAN EcoCity demonstrator WX61 HSL is on loan. Thanks to Brian Coney for this. Stagecoach in Oxfordshire Fleet List: 33655 went on loan from Oxford to Banbury on approx 25th. Thanks to Martin Townsend for this. Stagecoach in Warwickshire Fleet List: 16620 has been repainted into standard livery from pink Unibus livery. Thanks to Keith Wood for this. Stagecoach in Oxfordshire Fleet List: 19659 transferred to Stagecoach East Kent Ashford depot yesterday, with 15440-3 also thought to have departed for East Kent the same day. Thanks to Chris Shewry for this. A new addition is car 91064 transferred from Stagecoach South Wales Merthyr depot on 3rd. Stagecoach in Warwickshire Fleet List: 18398 was in service by 21st. Thanks to Keith Wood for this. 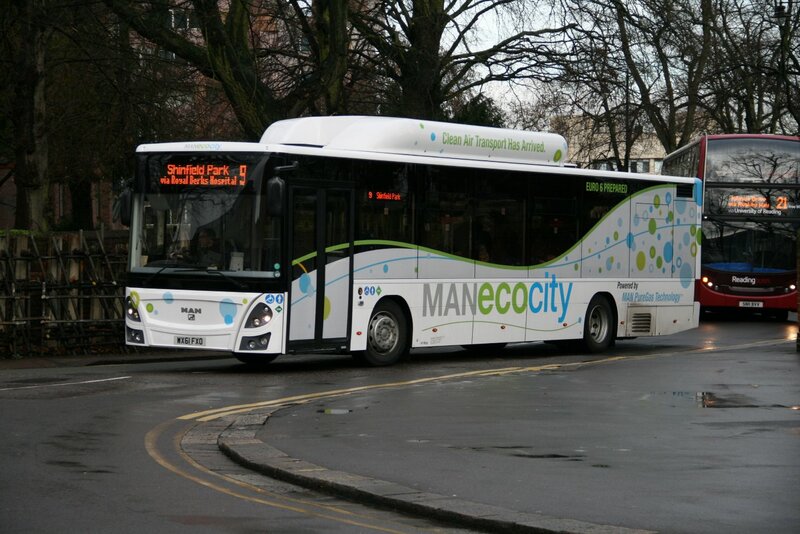 News Page: Reading Trial MAN EcoCity with photos of WX61 FXO (2). Thanks to Peter Coney for these. Fleet Buzz: New photo of Dennis Dart / Alexander Dash 32623 on loan from Aldershot added. Thanks to Peter Coney for this. Stagecoach in Oxfordshire Fleet List: 15440-3 and 19659 have now been withdrawal pending transfer to East Kent. 22936/41 have been reinstated from reserve. Stagecoach in Oxfordshire Fleet List: 18198/9 and 18398/9 transferred from Oxford to Leamington this afternoon following the entry into service of 15756-62 in Oxford as planned on 15th/16th. 18199/398 lost their branding for route S5 in December (MegaRears S is for… stylish/spinnin'). 15440-3 and 19659 have also gone into reserve pending their departure from the fleet (to somewhere else) later this week. 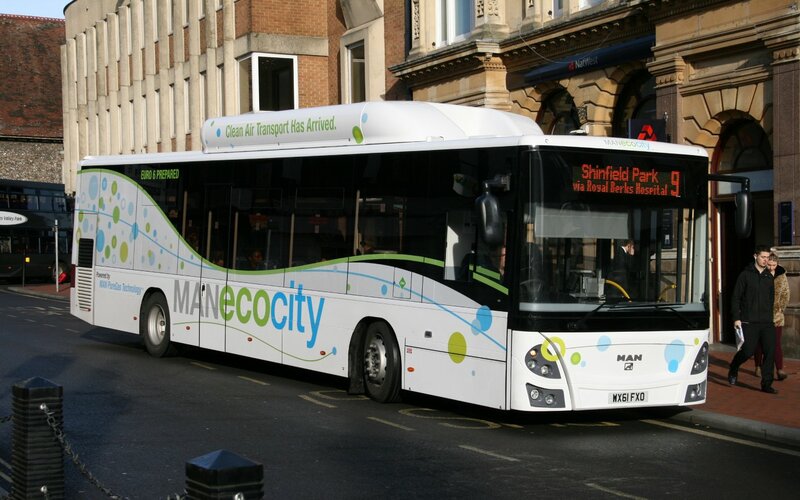 Reading Transport Fleet List: Compressed natural gas powered MAN EcoCity demonstrator WX61 FXO arrived by 11th for a five or six week trial. It will be used in service on route 9 from next week, and be refuelled using the gas mains supply at Great Knollys Street. The Thames Valley Park contract is to be renewed from 6th August for six years. Due to overcrowding on the 5 vehicle single deck contract, experiments with 7 single decks (11th April - 8th October) and 5 double decks (11th October to present) have taken place. A 7 vehicle operation will recommence from 13th February as TVP's preferred option with Scania OmniCity single deckers 1-5 returning to service along with two of the five Scania OmniCity double deckers at peak periods. First Berkshire Fleet List: 20372-4 have transferred to Aberdeen, 20373/4 just after Christmas and 20372 on 10th. Thanks to John Wheeler for this. Fleet Buzz Fleet List: 93026 appears to have been withdrawn. Thanks to Ralph Adams for this. Stewarts of Mortimer Fleet List: The new Scania i6 is YN61 AYC and was in service by 12th. Thanks to Stephen Le-Bras for this. Thames Travel Fleet List: Further unreported ancillary vehicles are J39 LJO and YP57 AXY. T807 RFG is also confirmed as being 916 (previously in store at Oxford Bus Company), but hasn't been seen in service as yet. Thanks to Ralph Adams for this. Stagecoach in Warwickshire Fleet List: Stratford 16085 has been put into reserve with Leamington reserve 16489 taking its place. Stratford 16786 does not appear to be in reserve any more. 16729 has returned to service in Rugby from reserve, with Rugby 16691 going into reserve at Northampton. Megabus 52567 has returned from loan to Cwmbran and 52659 from Newcastle, whilst 52647/8 have transferred to Stagecoach West Scotland (Glasgow) and 52649/57/58 to Stagecoach Fife (Rennies). Ford Fiesta 90806 has replaced 91542. Reading Transport Scania OmniDekkas: Former 820 joined the Bluestar fleet at Go South Coast in November along with 821/3. Thanks to Brian Coney for this. Courtney Buses Fleet List: RX55 AOT passed to D Jones & Son, Penycae in October 2011. Thanks to Bus Fare magazine for this. First Berkshire Fleet List: 20374 was withdrawn in November, and 41763 returned to London. Thanks to Brain Coney for this. Former 34279 was exported to Ridgway Coaches, Dublin. Thanks to Buses magazine for this. 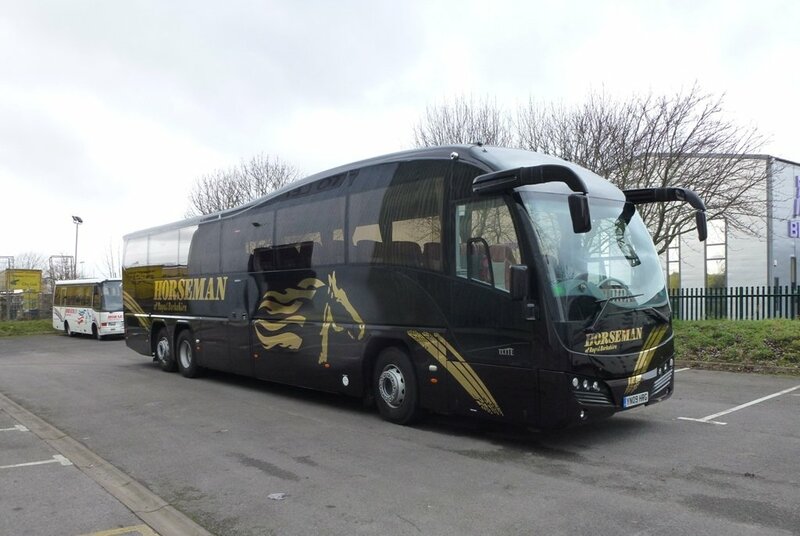 Horseman Coaches: New photos of YN09 HRG and RX61 GDY added. Thanks to Bob Stanger for these. Horseman Coaches Fleet List: Former N660/1 VJB passed from Plaxton (dealer) to Esk Valley Coaches (Proctors Group) by August/November. Thanks to Buses magazine for this. Oxford Bus Company Fleet List: Withdrawn 902/3/8/9 are back on the disposal list, having been re-advertised for sale through Nigel McCree recently. Reading Area Operators: Website address for DJ Travel updated. Thanks to Iain Baines for this. Reading & Wokingham Coaches: Acquired in June 2011 was VanHool EOS BIG 9885 whilst J630 OWK appears to have left the fleet by September 2011. 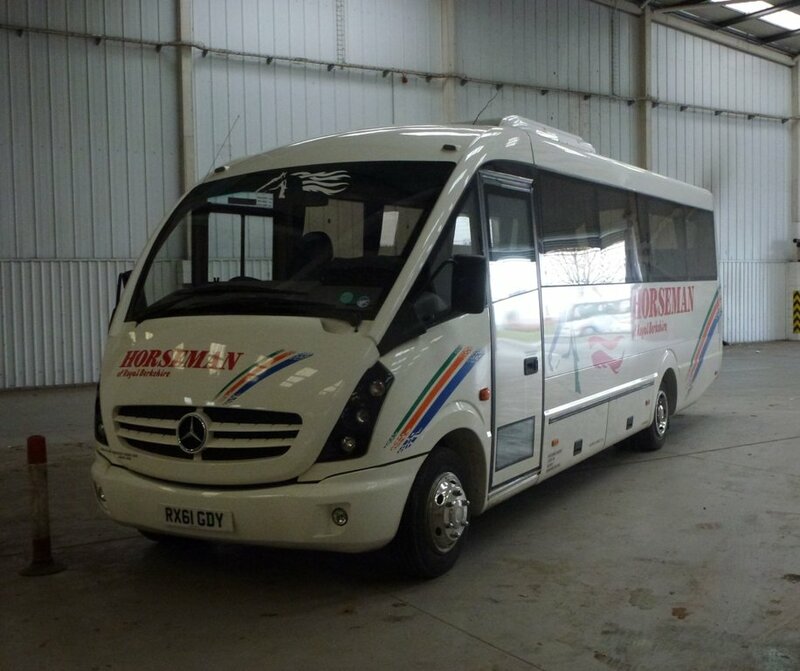 Former J563 HGH was sold to Wheelers via Vale (dealer) who briefly sold it to Snowdrop Coach Hire, Dagenham in June before it was returned to Vale (dealer) unwanted. Thanks to Bus Fare magazine for this. Weavaway Travel Fleet List: W50/90 OOW were reregistered RY56 RZH / SF56 TYC in November and sold to Moseley (dealer). Thanks to Bus Fare magazine for this.